Look´s like he´s got a lot more in store. You are looking like the next iThemes aka muratti aka FortKnox aka Fabio on the block. I like the orange theme but don't know how to change background to light gray/silver color. can you help me with that? 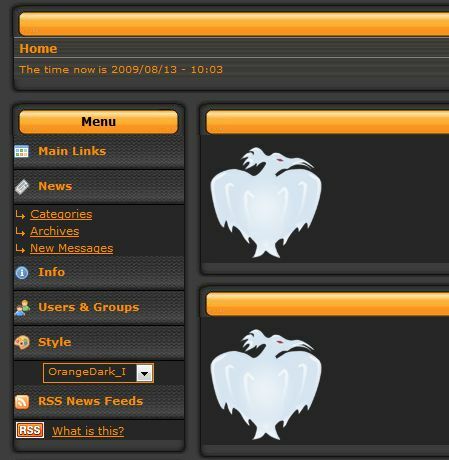 If you mean the OrangeDark you changes it in the css. file (here it is the "style_p_white.css")file. havent rename it. Don´t forget if you whan to changes this you also have to changes some images. In the css. file check out background: #000000; here you can changes to the color you whant. Changes this and you understand what i meen about the images.